Here at Pure Driving we offer a number of different horsebox licence training courses. Each course, when passed enables the driver to successfully and legally transport a horse in a trailer, a vehicle up to 7.5 tonnes or a full transportation HGC that weighs in at more than 7.5 tonnes. The B+E Licence is the most basic of advanced driving licences. 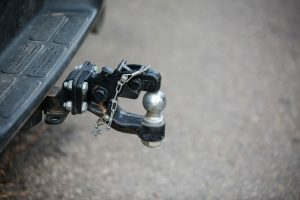 The B+E category allows you to tow a standard trailer behind a normal car. The C1 Training that we offer allows equestrian professionals to transport horses in larger vehicles other than a standard horsebox trailer. The C1 licence is more difficult to obtain but can be complete relatively quickly and in less than a week depending on the learner and the availability of our instructors. Category C vehicles are the largest available for horsebox training. These vehicles require you to drive with more than 7.5 tonnes loaded. The Cat C licence can enable a driver to transport up to 20-horses at a time. As well as this added bonus, the Cat C vehicles are strangely cheaper to purchase than the C1’s. Overall, if you are considering taking your horsebox licence training, you will need one of the following licences. 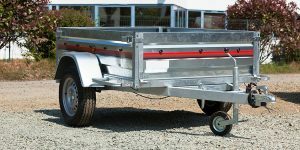 B+E enables you to tow a trailer with a standard vehicle and is the most popular for those with horses. C1 allows the driver to transport horses in a vehicle that weighs no more than 7.5 tonnes when full. Cat C vehicles allow drivers to transport up to 20-horses and even passing this category test allows you to drive C1 vehicles too.